Unfortunately, in 2017, it’s still rare to go to a show and see a lot of women on stage. Despite how it may seem at first glance, there are plenty of amazing, talented women making music and rocking out. With this issue, we wanted to highlight bands and artists that would showcase a range of badass lady musicians, including, but not limited to, vocalists, guitarists, and drummers. You may have heard of some of them, or you may have heard of none of them… Whatever the case may be, you won’t forget them anytime soon. 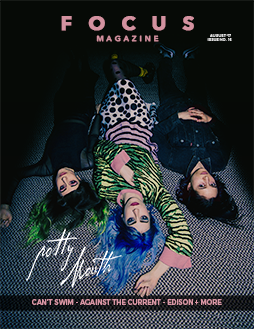 We hope you enjoy our sixteenth issue, featuring Potty Mouth!